Who you have in your store is practically as important as what you have in it. Your staff has a direct impact on sales, customer satisfaction, and the overall success of your store, which is why it’s important that you should not only invest in finding and hiring the right people but also put in the effort to keep them happy and motivated. To help you accomplish this, we’ve put together some pointers on how to drive employee morale and performance. Go through them and see whether you can apply them in your retail store. Matt Heller, author of The Myth of Employee Burnout, says that recognition is one of the best ways to stimulate your employees to take the actions you want them to take. If staff members are making a positive impact on your business, be sure to tell them how amazing they are. “The more people hear how they are having a positive impact on others, the more they will want to do it again and again,” adds Heller. Also, note that recognizing employees shouldn’t be something that you should only do every once in a while. The key to truly motivating people is recognizing the good that they’re doing on a regular basis. “Too often company initiatives are talked about in an orientation program only to be never mentioned again. This can actually be very demotivating, because people start to wonder why they are doing what they are doing,” he says. Now Josh knows that what he does has a direct impact on the guest experience and the performance of the store, and is much more likely to be motivated to take that action again. Keep this example in mind whenever you see your employees doing their job well. Verbalize how much you value their work and make sure they know that what they’re doing directly affects your business. Rachel Cooper, a marketing specialist at incentive program platform provider Perks.com, re-affirms the importance of employee recognition but adds that companies must also encourage their staff to recognize their fellow employees. “Not only is it important that managers recognize employees for a job well done, it is equally important that there is some sort of peer-to-peer recognition going on at work,” mentions Cooper. In an article on Forbes.com, Josh Bersin of HR research and advisory firm Bersin & Associates writes that they identified storytelling as one of the most powerful practices in employee recognition. So, the next time you have a meeting or even a social gathering with your staff, brag about their success by telling feel-good recognition stories. Money may not be the only thing driving your staff, but you have to admit that it does play a significant role when it comes to employees — especially in retail. 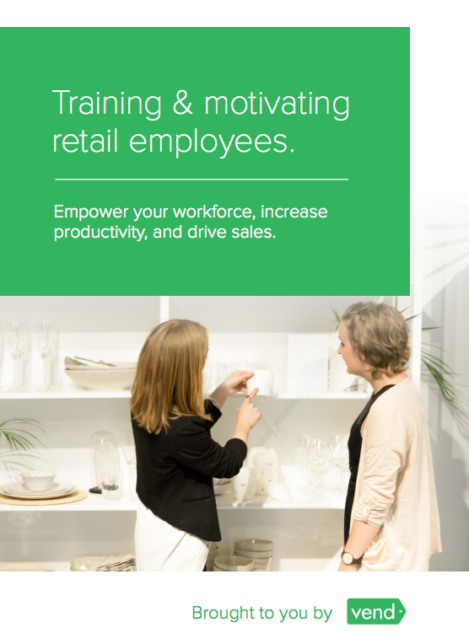 Multiple studies have shown that retailers with well-paid, well-trained employees outperform competitors that didn’t invest enough in their staff. “These retailers deliver great value to their customers, employees, and investors all at the same time,” she adds. It may be tempting to cut labor costs when you’re trying to increase profits or reduce expenses, but Ton warns that doing this can cause your operations to suffer. Remember that properly stocking shelves and serving customers requires significant effort and judgment; not paying your staff well could discourage them from exerting themselves fully. It’s the low-paid employee, not the inventory-management software, who notices that a shelf looks messy or that some of the products are in the wrong place. It’s the low-paid employee who notices that some of the lettuce has gone bad or that there are still signs up for last week’s promotion. It’s the low-paid cashier who can tell the difference between serrano peppers and jalapeno peppers during checkout. It’s the low-paid employee who notices that there are too many customers waiting in the checkout and offers to open an additional cash register. When retailers don’t invest in human capital, operational execution suffers and the company pays with lower sales and lower profits than it could have had. It’s best to view labor as a sales driver rather than a cost driver. Realize that paying and training your employees well leads to better output and, in turn, higher sales and customer satisfaction. “One of the easiest things retail managers can do to boost morale and engagement for their employees is to just listen to them,” says Carlos Castelán, Managing Director of The Navio Group. According to Castelán, your willingness to listen to your front-line employees can benefit you in two big ways: first, your staff members get a boost in morale because they feel more valued; and second, the input they provide can lead to positive transformations in your business. As an example, Castelán brings up Best Buy’s “Renew Blue” transformation, which led to the company’s highly successful comeback. Plenty of changes were implemented at Best Buy during this period of change, but one of the key steps that Best Buy CEO Hubert Joly took was to engage with rank-and-file employees in Best Buy stores. In doing so, he discovered that employees were frustrated with the company’s internal search engine which returned inaccurate results. That issue was fixed shortly thereafter. Joly also brought back employee discounts and invested in training Best Buy’s staff on new technologies. All those changes led to happier and well-trained employees who were better-equipped to serve shoppers. Looking to upgrade your point-of-sale system? 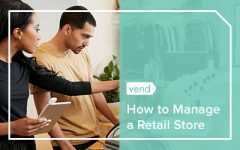 Give Vend’s POS software a try. Your staff will love it! It goes without saying that you should always aim to hire A-players; they perform better and get results. But that’s not the only reason that you should go for superstar employees. A study by the National Bureau of Economic Research found that the mere presence of A-players in the company can have a positive effect on the performance of other employees. On average, department-level output increases by 54% after the arrival of a star. A significant fraction of the star effect is indirect: after removing the direct contribution of the star, department level output still increases by 48%. Keep this study in mind whenever you’re dealing with staffing issues. Invest the necessary resources to find superstar employees, and be sure to apply the tips above to keep them. Invest in up-to-date and well-functioning tools and equipment. This not only empowers your staff but also increases productivity and helps them do their jobs better. Let’s consider the case for upgrading your point-of-sale system. Having your employees use an outdated cash register with limited functionality slows them down, whereas having a cloud-based POS makes their job faster and easier and can enable them to get more things done. (Plus, using a sleek POS system feels much better than a clunky cash register). The call to give workers more modern tools has been echoed by companies such as Intel. In a study on the effects mobile technology on employee productivity, Intel found that employees who were given a wireless notebook to work with gained nearly 100 hours of additional productivity per year. See whether you can put this tip to work in your store. Look around for tools or equipment that are due for an upgrade and consider replacing them with something better. Incentives can certainly help with motivation, but only if you choose the right ones. For some retailers, the right incentives could be sales commissions. Roberta Perry at ScrubzBody.com says that in her business, a 10% commission does really well in driving the performance of their sales associates. “I pay $1 per hour over minimum wage, but then pay a full 10% of commission. We sell skin care and the average sale is $60. So every time they sell the average, they get $6, but how amazing that if they raise the sale they raise the salary,” she says. If your business operates like Scrubz, then consider following a similar strategy. As an alternative, Stan recommends rewarding associates based on the purchase rate of your customers. “For example, for every 100 customers served what % of them go on to purchase something? That incentives the sales rep to serve each customer properly and going above and beyond to ensure each customer they serve go on to purchase something,” Stan adds. Want to learn more about retail staffing? Catch our on-demand webinar on retail hiring. In it, you will learn a proven, successful process that will exponentially reduce your number of bad hires and make your successful hires even better. 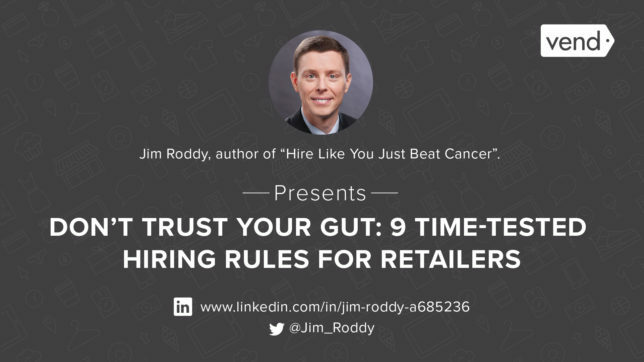 You’ll get to know the “Hire Like You Just Beat Cancer” system, a process that will lessen your staffing frustrations and help you become a hiring champion among all retailers – large and small. 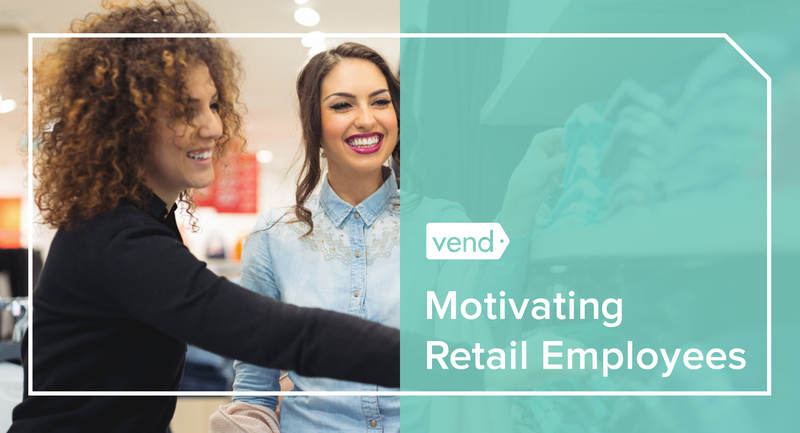 The post Motivating Retail Associates: 7 Proven Ways to Boost Employee Morale and Performance appeared first on Vend Retail Blog.